We loved reviewing the Furbo Dog Camera so much so I wanted to offer one up as a giveaway. It is such a clever piece of technology that allows you to see, talk and play with your dog. Most of the time I work from home but on the odd occasion I am away I love that I can reach out to my beloved dog and give her some tasty treats and make a bit of a fuss of her! My dog Summer has responded well to the device. She seemed to quickly realize when the Furbo Dog Camera was active. Plus, the clicking sound when a treat is distributed is another sure sign something exciting is about to happen! I love seeing her cute little face when I am away from home. It reassures me that she is happy and doing okay. It’s a great way to connect with your dog in the day. The device makes sure your dog doesn’t get bored or lonely. She mainly sticks to one room although she has the run of the house, so I always get a good view of her. She spends most of the time sleeping. Only stopping for the odd break to do a bit of barking at passing neighbours or the postman! The barking alert function is such a useful addition. You get an alert to your phone when your dog barks. You can then check in to make sure everything is as it should be at home. If your dog is agitated or stressed, you can calm them down. Some dogs have separation anxiety when their owners are not home. It is because they are so attached to their owners, its hard being without them. I can relate as I miss my dog when I am away from her. 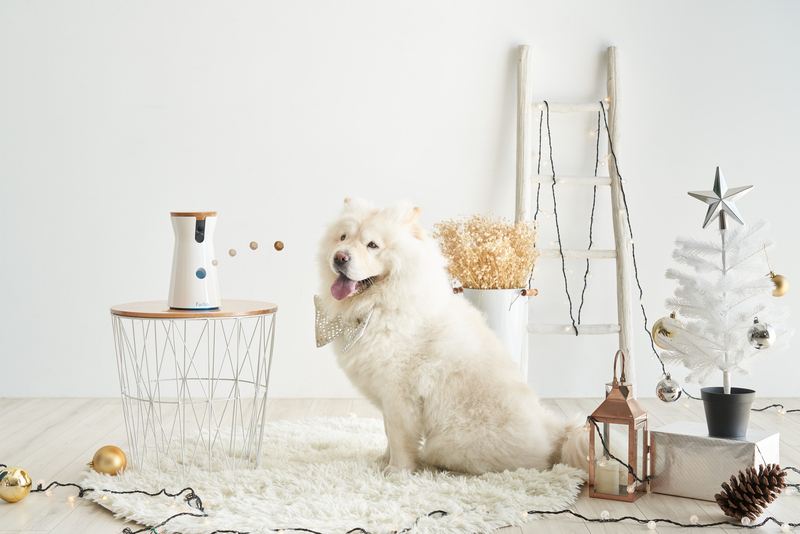 The Furbo Dog Camera can help your dog realize that alone time isn’t so bad! Especially when they know their “mum” or “dad” can still check in with them through Furbo. You can give your dog some commands too, so they get a bit of mental stimulation in the day! Perhaps get them to sit and lie down before a treat flies out for them! It really is a useful training aid. Furbo Dog Camera has a high-quality camera with a 4x zoom. The 160° wide-angle gives such a good view of the room. It even has an infrared night vision so you can check that your dog is behaving in the night. When you run out of dog treats you just buy similar sized ones and they do the job just as well. If you would like to win a Furbo Dog Camera worth £199 please fill out the form below by the 20th of April. Please check out my other competitions too! Perfect for my mum and dad to keep a eye on their dogs.